The unhinged liberal media is out of control. 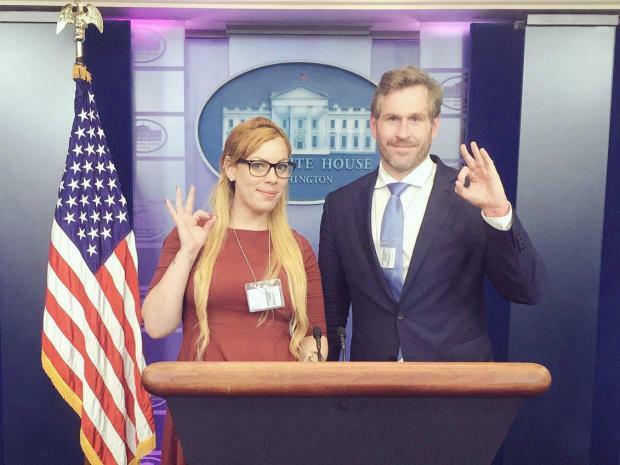 On Friday journalists Cassandra Fairbanks and Mike Cernovich were reporting from the White House press room. Before the presser they went up to the podium and made the AOK sign and tweeted it out. 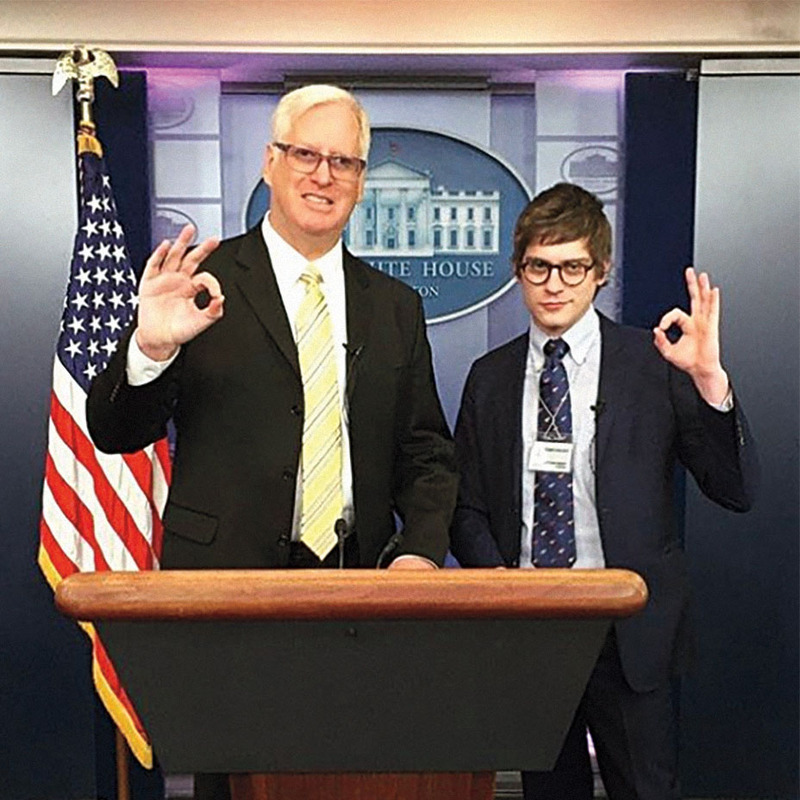 The liberal media immediately reported that this was a hate symbol by white supremacists. 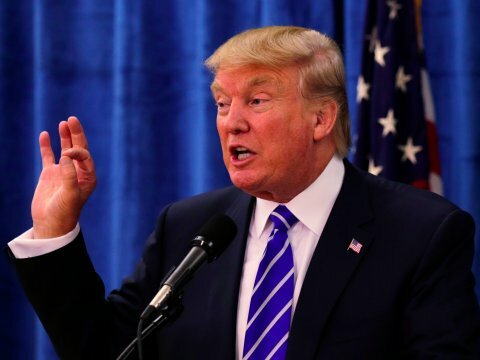 It’s an AOK sign that Trump flashed during the campaign. 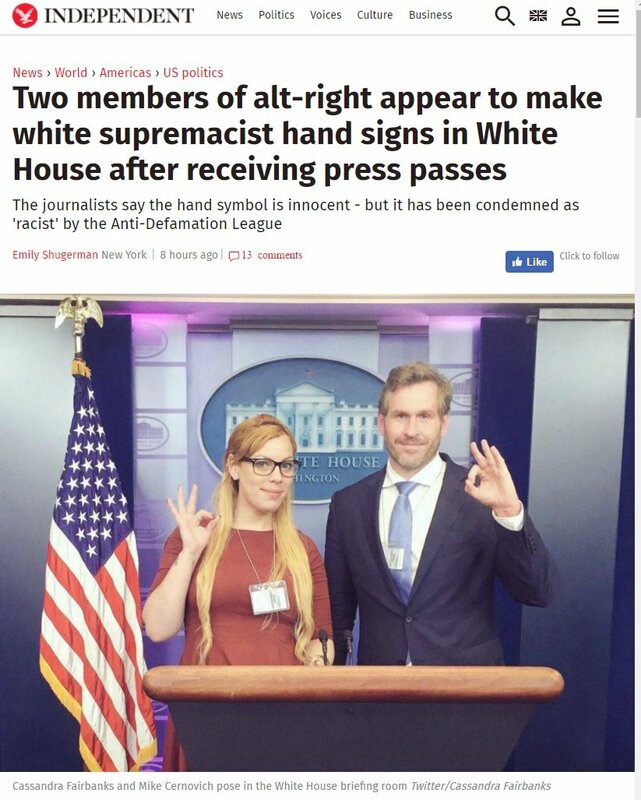 And its a hand sign Jim Hoft and Lucian Wintrich flashed in the White House in February. 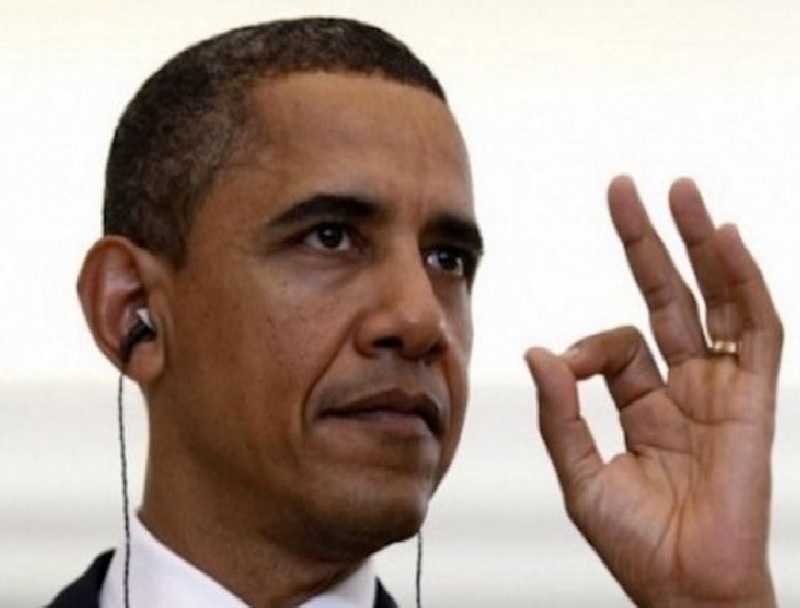 The AOK sign is something Obama flashed at times. On Monday Tucker got a good laugh out the latest lunacy from the left.